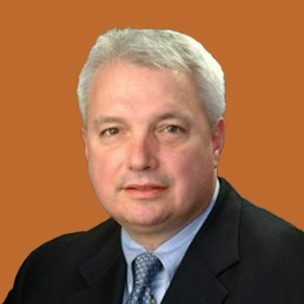 Dr. Rodney Landreneau is a mesothelioma specialist with nearly 30 years of experience in thoracic surgery. He returned to the University of Pittsburgh Medical Center (UPMC) in 2017. Dr. Rodney Landreneau is a thoracic surgeon with nearly 30 years of experience, bringing his expertise in the treatment of pleural mesothelioma back to the UPMC Hillman Cancer Center in 2017. He is based at UPMC Hospital in Altoona. Landreneau spent more than 20 years at UPMC Hillman Cancer Center in Pittsburgh before moving in 2013 to the Ochsner Cancer Institute in his hometown of New Orleans, where he performed the first surgical debulking with hyperthermic chemotherapy for mesothelioma in Louisiana history. It was a procedure he mastered during his earlier stay at UPMC. He returned to Pittsburgh and the Allegheny General Hospital to become director of the Esophageal and Lung Institute in 2016 before rejoining UPMC the next year at their Altoona location. He held several positions at the Ochsner Cancer Institute, including vice chairman of the department of surgery’s clinical program development, chief of general thoracic surgery and medical director. Landreneau has expertise in minimally invasive surgery and video-assisted thoracic surgery (VATS). In addition to mesothelioma, Landreneau offers surgical options for patients with lung cancer, esophageal cancer and several other cancerous and benign conditions of the chest. After graduating from Louisiana State University in Baton Rouge, Landreneau studied medicine at Louisiana State University Medical School. He completed his medical training with honors and was elected to the Alpha Omega Alpha medical honor society. Landreneau completed a residency in general surgery at the University of Texas-Southwestern Medical Center in Dallas and a residency in thoracic surgery at the University of Michigan, Ann Arbor. He is board certified in general and thoracic surgery. Landreneau is a member of several professional medical organizations, including the American Association for Thoracic Surgery, the American College of Chest Physicians, the American Surgical Association, the American Society of Clinical Oncology and the Society of Surgical Oncology. He has written more than 350 peer-reviewed journal articles on his specialties and is a leading thoracic oncologic clinical investigator with the American College of Surgeons Oncology Group (ACOSOG). Landreneau is also a leading member of the Alliance Cancer Cooperative Group, which is comprised of several national cancer groups.